Oh how many times there have been where I wanted to blog about some interesting trademark story or legal development . . . only to have client needs get in the way. So many blog posts started, and so few ever finished. But that doesn’t mean I still can’t post a long list of them here – with links to articles and/or other blog postings that cover the topics as eloquently as I could have. Let’s call it my Top 10 Missed Trademark Blog Opportunities. 10. Who Doesn’t Love Boobies! Foundation which owns the I (Heart) Boobies trademark sues company for selling unauthorized I (Heart) Boobies bracelets. Complaint here. San Diego Reader Article. 9. The Platters Trademark Lawsuits Keeps Going and Going. VegasInc Article Here. Amazing that the name still generates enough revenue to make these kinds of actions worthwhile. 8. Louis Vuitton Sues Warner Brothers for Scene in the Hangover Part II. Really, Louis Vuitton? How would anybody in the world know if the bag that Zach Galifianakis’ character references as a “Louis Vuitton” is fake or real? (frankly, you can barely even see it in the scene). More importantly, who would care even if they knew? (It doesn’t change the humor in the particular scene which is more about his mispronunciation of Louis as “loo-is”). Pepsi and Frito Lay accuse company of using their soft drink and food cans to create containers marketed to hide “illicit narcotics” and weapons. Complaint here. Courthousenews Article. Well of course such canister safes have to be created from Pepsi and Frito Lay’s original packaging bearing their trademarks – the police won’t be fooled by cans that says “Cola” or “Tortilla Chips.” Uh, duh! After failing to overcome the trademark opposition to its application for register Motown Metal at the PTO (TTAB Decision here), Hasbro decides to pursue a Section 1071(b) action rather than appealing to the Federal Circuit. Complaint here. TTABlog Post on TTAB Decision here and Hasbro’s action here. 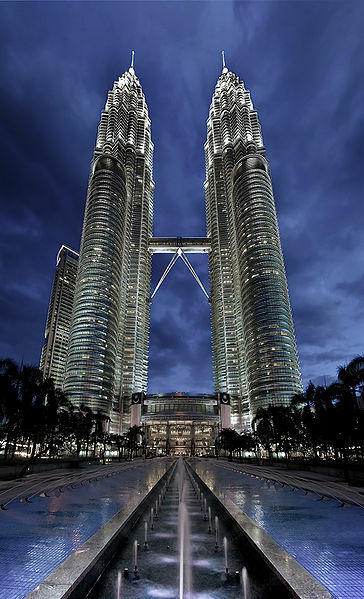 Owner of the Petronas Towers in Kuala Lumpur, Malaysia, was not content to win control of the two domain names – petronastower.net and petronastowers.net – through in rem actions (previous blog post here); it just had to keep pushing to try to make GoDaddy liable in some way . . . and failed big time. Berhad v. GoDaddy, 09-5939 (N.D. Cal. Jan. 3, 2012). Technology & Marketing Law Blog Post (Post by Venkat Balasubramani). Of course, if the company was bold enough to have even maintained this action, it’s likely to be bold enough to appeal to the Ninth Circuit. The Ninth Circuit Court of Appeals explains how its old “sliding scale” approach to preliminary injunctive relief remains viable following the U.S. Supreme Court’s decision on the standard for preliminary injunctions in Winter v. Natural Res. Def. Council, Inc., 555 U.S. 7 (2008). See Alliance for the Wild Rockies v. Cottrell, 632 F.3d 1127, 1135 (9th Cir. 2011). Seattle Trademark Lawyer Blog Post. The applicant’s mark is THE CUPCAKERY for, “Retail and online retail bakery shops.” CUPCAKERY is defined as, “A bakery which only sells cupcakes”. Please see the attached dictionary definition. THE CUPCAKERY immediately describes a feature or characteristic of the applicant’s services, specifically, the applicant is a bakery that sells cupcakes. 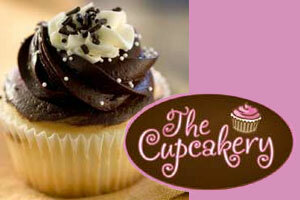 Please see the attached evidence from the applicant’s website which shows that the applicant’s bakery sells cupcakes. Further, please see the attached third party Internet website evidence from www.frostedcupcakery.com, www.sibbyscupcakery.com,www.carolinacupcakery.com, www.ourcupcakery.com, www.batchcupcakery.com, www.buttercreamcupcakery.com, www.kumquatcupcakery.com, www.sugarcupcakery.com, sivadascupcakery.com, and sugarbabiescupcakery.com which shows that in the applicant’s industry a cupcakery is a bakery specializing in cupcakes and is commonly used by cupcake bakeries. PTO File Wrapper for one of the four applications here. Of course, the applications were filed in September 2008 and one wonders if the mark, while possibly distinctive at the time of filing, became generic during their pendency. Filed around the same time as the Hasbro case above – making TTAB appeals via Section 1071(b) appear to be growing in popularity. Not happy with the results it obtain at the TTAB (decision here), owner of the UK club that was popular venue for The Beatles sues Hard Rock to cancel CAVERN CLUB registration. Trademark Blog Post. Complaint here. And Las Vegas Trademark Attorney's #1 Missed Blog Opportunity . . .
Or as I liked to say when the decision was issued . . . “I told you so!” (those who know me and my previous involvement in a cybersquatting dispute that involved this precise issue will understand what I mean). GoPets Ltd. v. Hise, Appeal No. 08-56110 (9th Cir. 2011). Technically, there was a blog post about this case on this blog (link here), but it was written by fellow local trademark attorney Mark Borghese (who was kind enough to contribute some blog content during a period of time last year that was particularly busy). Finnegan’s Incontestable Article. The more interesting question, however, is does this now give cybersquatting immunity to domainers who purchase a domain name from another owner who happened to originally register the domain name at a time when no distinctive mark existed, but who then begin using such domain name in a way that would constitutes cybersquatting had the domainer’s purchase been considered a “registration” under the statute? AirFX LLC won a UDRP decision over the domain name airfx.com (AirFX, LLC v. ATTN AIRFX.COM, Claim Number FA1104001384655 (NAF May 16, 2011)), and so the domain name owner, Mark Laurie, sought relief by filing a reverse domain name hijacking lawsuit. See Airfx.com et al v. AirFX LLC, Case No. 11-01064 (D. Ariz.). Not only did the court deny AirFX, LLC’s motion to dismiss, the Court also awarded Plaintiff $4086 in costs and fees for AirFX’s failure to waive service of process. Decision here. Technology & Marketing Law Blog Post. People take their pets very seriously . . . and apparently the same is true with respect to their pet store trademarks. On January 13, 2012, Puparazzi Industries of America LLC (“PIA”) filed a trademark infringement lawsuit in the U.S. District Court of the District of Arizona against Puparazzi Pet Spa LLC (“PPS”). See Puparazzi Industries of America LLC v. Puparazzi Pet Spa LLC, Case No. 12-cv-00084 (D. Ariz.). A copy of the complaint can be downloaded here. According to the complaint, PIA is a mobile pet grooming van that provides its pet grooming services throughout the Phoenix, Arizona area using the marks PUPARAZZI MOBILE PET SPAW and WHERE YOUR PET’S THE STAR (which it claims to have been using in the area since May 10, 2010) and with bright pink and purple colors on its grooming van. PIA only recently filed to register the mark PUPARAZZI MOBILE PET SPAW (which contains the odd concurrent use information “Regional and National). [Sidenote: The application does not appear to have been filed by an attorney, but instead by the company’s managing member]. 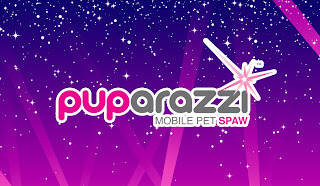 The same company had an application on file for PUPARAZZI INDUSTRIES OF AMERICA (filed March 2010), but when it came time to show use of the mark, all that it could muster up was its specimen showing the mark PUPARAZZI MOBILE PET SPAW. The PTO rejected both the specimen of use (since it did not show the mark as applied in use) as well as the applicant’s attempt to alter the “drawing” of the mark from PUPARAZZI INDUSTRIES OF AMERICA to PUPARAZZI MOBILE PET SPAW (a material alteration). PIA claims that defendant PPS began operating a pet grooming store in Phoenix, Arizona, using the marks PUPARAZZI PET SPA and EVERY DOG IS A STAR! (and the color pink on its website and facebook account) around September 2011. PIA’s causes of action are for federal trademark infringement and unfair competition. 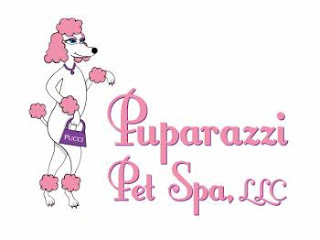 This looks more like an example of a local “pet grooming store” name battle between two local business competitors (not as uncommon as you might think), rather than a company beginning to exert trademark rights to the word PUPARAZZI. I suspect that PIA’s “concurrent use” claim in its trademark application is a recognition by the owner of the company that there are other companies out there using the PUPARAZZI mark in connection with similar services including Puparazzi Dog Spa (in North Aurora, Illinois) and Puparazzi Pet Grooming (in Green Bay, Wisconsin). There is also a pet photographer using the name Puparazzi Portraits. And one man owns the registered trademark for PUPARAZZI in connection with pet clothing. And to the extent PIA is able to prove both that it is the prior user of the mark the Phoenix, Arizona area as well as the scope of its reputation in the Phoenix, Arizona area, then it may very well likely be able to get PPS to change its name.